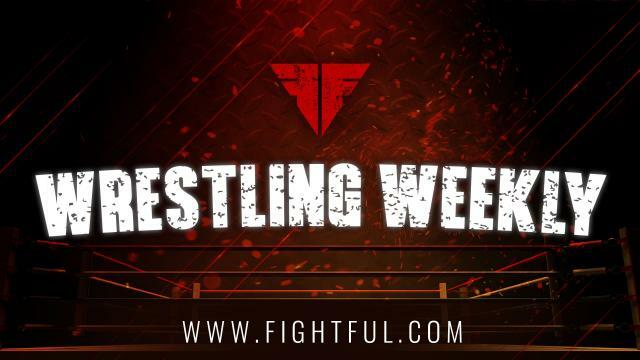 Fightful broke the news of Hideo Itami's WWE release this week. He's been granted his release, but it isn't official as of yet. We're told he was all too happy to put people over on the way out, but had been frustrated creatively. While he's well liked among NXT and 205 Live circles, and with people that has worked with him, several in management lost faith in him pretty early after injuries in NXT, and injuring other people in 205 Live. His conditioning was also said to have been an issue. WWE Raw's script was not handed out until late on Monday, which was said to have been frustrating for many backstage. WWE had a ton of new producers backstage, and also had a lot of the Smackdown talent there as well, making it a little busier than usual. Smackdown's script, on the other hand, was finished early and had a much more laid back atmosphere. Rey Mysterio was set to face Samoa Joe in an early script of Smackdown's show. I spoke to a couple of IMPACT Wrestlers in Jordynne Grace and Ethan Page recently. Jordynne Grace wrestles a style that is unlike almost any other woman in the world, but especially in Impact. Ethan Page is a bigger heavyweight -- pushing 260 pounds -- and wrestles more like a cruiserweight often. I asked them about what went in to developing those styles. For Grace, she said that she spends more time outside the ring working on that style, doing things that can translate to a power-based offense. Page said that he's a large guy who is often competing against hybrid athletes that are much quicker and smaller than him, and he's forced to adjust accordingly so he can wow the audience. He said that if he had it his way, he'd just be doing Rock Bottoms and DDTs all the time, but that's not the case today. New Japan Pro Wrestling "Switchblade" Jay White was my guest on the most recent Making A Finisher talking his "Blade Runner" move. While the move gains lots of comparisons to the Sister Abigail, but said that the move is to honor Alex Shelley, who was his first match in New Japan, and trained with him at the dojo. He told me that he doesn't have any real difficulties with anyone, although he expects it with some bigger guys. He told me that people who take it don't really have much of an option on what way to bump off of it, but admitted Omega's are some of his favorite sells. We also talked about his crucifix elbow "Sharp Sensations," which he uses from Gary Goodridge of UFC fame. He walked me through the Kiwi Crusher that he doesn't use as a finishing move, but that he used in ROH and how he made it different than the version Low Ki used. Fightful was able to gain some more information about Shane Helms heading to WWE. It was initially reported that Shane would be working with WWE as a producer immediately following the Royal Rumble. He was actually originally contacted to be a full-time coach at the WWE Performance Center, but there wasn't a defined role set later on. Helms was in Phoenix over the weekend and actually had several offers from companies looking to bring him in. It shouldn't be a surprise that there were a number of people within WWE pushing to bring Helms on board. Also, he hasn't returned my text messages this week, a true indication that he is very ungrateful about me making him relevant again. I talked to Triple H for a number of stories last week. Following NXT Takeover: Phoenix, we spoke about the possibility of Women's Tag Team Titles in WWE carrying over to NXT and NXT UK. He'd mentioned that they want to get the titles going from a main roster perspective and see how things work out before determining that they should have any additional titles. When I asked him about the possibility of NXT and NXT UK talent competing for the newly announced titles, he said it's something they've discussed, but haven't come to a firm decision on yet. I also asked about Tegan Nox, and Triple H gave a pretty evasive non-answer, but said that she's healing up and getting better. Regarding suspicions that the Ambrose situation is a work: The news came from people backstage within WWE, not WWE themselves. They confirmed it. Also, if so, I don't think that working wrestlers and employees in a place where about a half dozen people have asked out is happening. WWE distributed this statement to media, including numerous mainstream outlets. I find it very hard to believe they'd risk losing coverage in those outlets while trying to work an angle. WWE's PR department, in my experience, doesn't work people in e-mails. There was one exception in 2011 with GLAAD and CM Punk. It is not hard for WWE to construct a PR situation where Triple H is interviewed by a publication or outlet and answers the "is Dean Ambrose leaving?" where he answers, and it gets picked up anyway. That doesn't mean it won't be integrated into the show. That doesn't mean that WWE won't continue to make efforts to keep him. I'm sharing with you my experiences from this aspect of things based on the responses I've been getting. It's not much of a secret that The Rock's daughter, Simone, has spent some time at the WWE Performance Center and trained. She's a huge wrestling fan and Triple H says she likely caught the bug from her father, and he's sure that the Rock would endorse her having a career in wrestling. He said that The Rock, like himself, value the idea of getting an education before you make that kind of leap, but said it would be hard to not see her in the future.